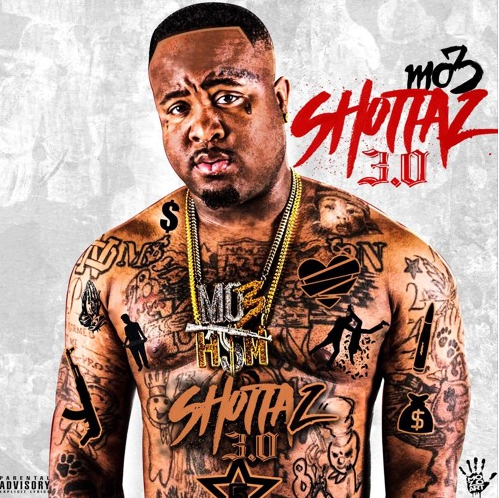 Mo3 has been buzzing out of Dallas, Texas for a while now but it sounds like he’s ready to take it to a national level with Shottaz 3.0. Dallas, Texas is a city that has been under-represented at the forefront of hip-hop but Mo3 is finally giving the city a sound that they can get behind. With autotune driven melodies and hard hitting rap bars over trap-inspired instrumentals, Mo3 has the formula for success in today’s climate of music. Standout single “Numbers” featuring the scotching hot Moneybagg Yo is a testament to Mo3’s hit making ability as he takes the listener through his come up from sleeping on the floor to wearing $25,000 worth of jewelry. “Numbers” has the potential to be a breakthrough record for Mo3.Shottaz 3.0. documents the success of Mo3 but it’s not all flash and flare as he explores themes of deceit and hardships on tracks like “Errybody Ain’t Your Friend” and “No Love” providing a lot of balance to the tracklist. Check out Shottaz 3.0. for yourself below and get put on to Mo3 early because he is about to blow up any minute following this release.